Many Christians often condemn the Muslim Qu’ran for being a violent book, but did you know that the Bible is far more violent than the Qu’ran? And this is not just descriptions of violence. There are more endorsements and commands to violence by God in the Bible than in the Qu’ran. Of course, many Christians rightly point out that Jesus came and changed all that. That Jesus revealed a new a different way, a way of love and forgiveness. So … wait. Is Jesus violent and bloody or not? Are we saying that God in the Old Testament was violent and bloody, and then Jesus showed up to try love and forgiveness, but at the end of the world, even Jesus realizes that violence and bloodshed is the only solution after all? That love and forgiveness doesn’t actually work? I think something is terribly wrong with this way of reading the Bible. And by the way, this way of reading the Bible causes people to become violent themselves. 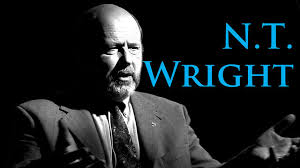 I have heard Greg Boyd say that we become like the God we worship. If we worship a God who is violent at heart, and even though He tries love and forgiveness for a bit, He ultimately resorts to violence and bloodshed … then this is how we will act toward others. Maybe we don’t drop bombs on them … but we do feel justified to hate other people when they don’t respond to our attempts to love and forgive them. Do you see? 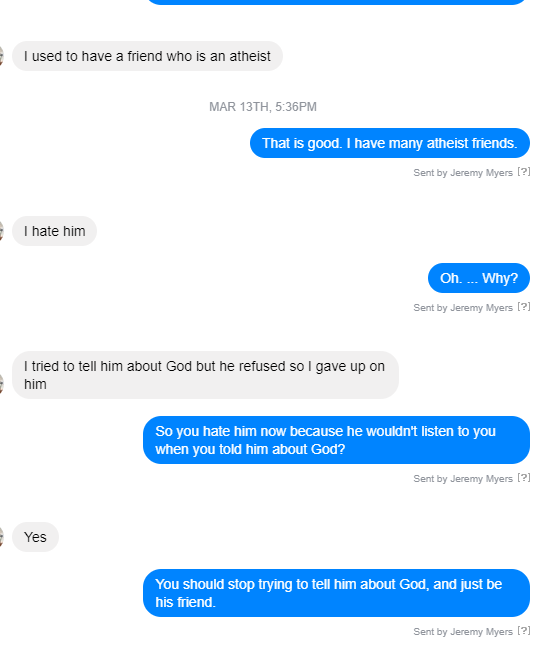 When we believe that God loves for a while, but then turns to hate when people don’t respond to Him, this causes us to hate those who don’t respond quickly enough to our evangelism efforts. Now, if this is truly the way God is, then I agree that this is how we can behave as well. But I do not believe that God is hateful, angry, violent, or bloody. I believe that Jesus reveals that God is quite the opposite. I believe that Jesus shows us what God is like, and that God has always been and always will be just like Jesus in the Gospels. Jesus says “If you’ve seen me, you’ve seen the Father.” Paul says in Colossians 1:15 that Jesus “is the image of the invisible God.” The author of Hebrews says that Jesus is the exact representation of God, the express image of His person (Hebrews 1:3). 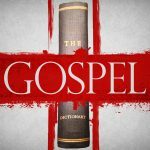 Now when Jesus, Paul, and the author of Hebrews were teaching these things, they were talking about how Jesus lived during this life on earth as recorded in the Gospels. During His life and ministry, Jesus did not engage in bloody violence or acts of vengeance upon anyone. Instead, He always loved and only forgave. If we believe that Jesus, Paul, and the author of Hebrews knew what they were talking about, then we are forced with a decision: We must either decide that Jesus was hiding the dark, bloody, and violent side of God so that He did not actually reveal to us the full and perfect image of God (and therefore, Jesus, Paul, and the author of Hebrews are not telling the truth), or we must decide that Jesus did, in fact, fully reveal God to us (as He claims to have done), and so God has never been violent and bloody, and never will be. For myself, I believe that Jesus is telling the truth, and so is Paul and the author of Hebrews. Which means we need to figure out why the Bible is so violent and bloody. 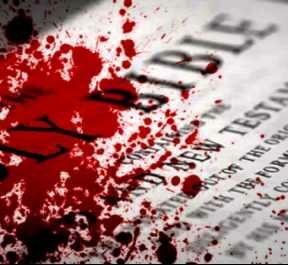 We need to figure out why the Bible contains so much bloodshed. We need to figure out why God apparently commands so much violence and bloodshed in the Old Testament. We need to figure out why John writes in the book of Revelation about the return of Jesus in such violent and bloody ways. Thankfully, this is not something we have to figure out on our own. Jesus Himself told us why the Bible is so violent. He did this in numerous ways and at various times during His life and ministry. The greatest explanation was provided through His crucifixion, of course, but many of the parables and teachings of Jesus were also directed at revealing the truth to us about why the Bible is so bloody and violent. [You] say, “If we had lived in the days of our fathers, we would not have been partakers with them in the blood of the prophets.” … Therefore, indeed, I send you prophets, wise men, and scribes; some of them you will kill and crucify, and some of them you will scourge in your synagogues and persecute from city to city, that on you may come all the righteous blood shed on the earth, from the blood of righteous Abel to the blood of Zechariah, son of Berechiah, whom you murdered between the temple and the altar. 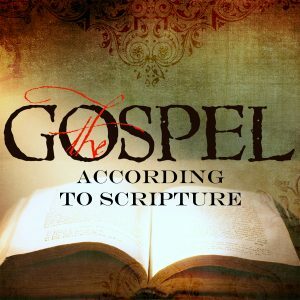 In this text, Jesus provides a summary of how He reads and understands the Old Testament. This is “The Old Testament according to Jesus.” And according to Jesus, the Bible is filled with violent bloodshed. From Abel to Zechariah, from A-to-Z, the Bible reveals the violence of the human heart as we kill others in the name of God. According to Jesus, the Hebrew Scriptures are primarily about a revelation of bloodshed. They reveal what the origins of bloodshed, and how sacrificial religion is often at the root of bloodshed, as human beings kills others in the name of God. And it is not just evil sinners who are killed in the name of God, but righteous, innocent victims, such as Abel, Zechariah, and the prophets. Jesus also says that the people in His day are doing the same thing. This violent murdering of others in God’s name is the constant human sin of every culture and every generation. Yet no generation thinks that they themselves are guilty of it. The people in Jesus’ day say that if they had lived in the days of the prophets, they would not have participated in killing the prophets. Yet the people in Jesus’ day killed Jesus. 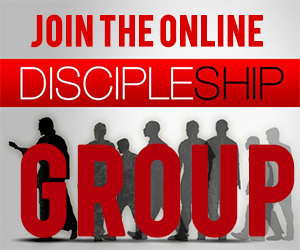 Today, we say that if we had lived in the day of Jesus, we would not have participated in killing Jesus. But is this true? If you had lived in the days of Jesus, do you think you would be among those who cried out for His arrest and crucifixion? Or would you instead be among those who stood faithfully at His side and wept for Him as He bled and died? Do not be too hasty to answer. In Matthew 23:29-35, Jesus explains that the religious people who claim they would not have participated in murdering the prophets are the very same people who are planning to kill the prophets of their own day. In this context, Jesus clearly equates blood with murder and violence, and especially the bloodshed that is religiously motivated. When the Bible speaks of blood, it primarily has in mind the sacrificial and religious bloodshed which takes place when we kill and murder in God’s name. Of more importance, however, is the shocking truth that this text contains for us modern Christians. We Christians like to say that if we had lived in the days of Jesus, we would not have been among those calling for His crucifixion, but would have sided with Him instead, defending His innocence and calling for His release. Sadly, Jesus disagrees with our assessment. The human condition and tendency is to side with the mob in calling for the death of the innocent scapegoat victim. The religious people in Jesus’ day claimed that they would not have participated in killing the prophets of old, yet it is they who led the charge in accusing, condemning, and killing Jesus. Just as with every other violent text in Scripture, Matthew 23:29-35 is a serious call to take a careful look at the condition of our own hearts toward others. This text, like so many others, was not primarily written so that we can condemn the ignorance of those in the past, but so that we can allow this text to expose the darkness in our own hearts. Just as the people in Jesus’ day were guilty of the same sins they condemned in their ancestors, so also, we are guilty of the same sins we condemn in them. We say we would not have condemned Jesus, yet it may very well be that the people we think God should kill today are the very prophets whom God has sent to us to reveal our sin. Who is it that you want to see dead? Who is it that you believe God could (and should) “righteously” kill? Could it be that you only think this about them because they are exposing your sin to you, just like the prophets of old? This reveals why the Bible, and especially the Old Testament, is so violent. 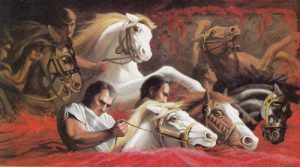 Much of the Old Testament is filled with blood, whether it is the blood spilled in the sacrificial rituals of the Mosaic Law or the blood spilled during Canaanite Conquest and subsequent wars of Israel. 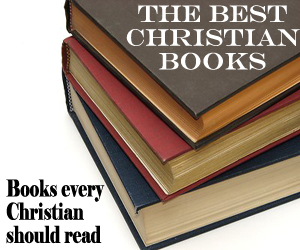 It is not without reason that some have called the Bible the bloodiest religious book in human history. Such a charge is not unfounded, for when the actual calls for violence and bloodshed are tallied, the Bible has more bloody texts than the Muslim Qur’an or any other religious holy book. 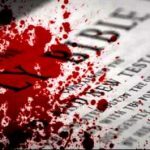 The proper response to all this bloodshed in the Bible, however, is not to try to explain it away and justify God as the bloodiest deity in the history of religion, but instead to embrace the revulsion that we feel and recognize that the reason the Bible is so bloody is not so that we emulate the behavior we read about in its pages, but instead to see these events as though they were a mirror being held up to our own faces (James 1:23-24). 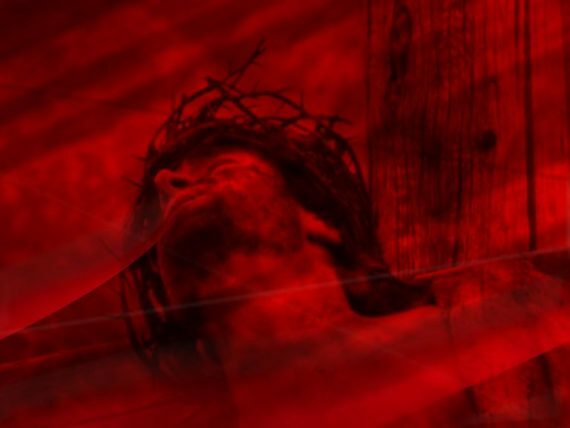 In Matthew 23:29-35, Jesus says that the Bible is so violent and bloody, because it reveals what we ourselves are doing in our own day. Jesus says that the Bible is so violent and bloody, not so that we can condemn the people of the past, but so that we can see how we ourselves participate in the same exact bloodshed and violence. Jesus says that the Bible is so violent and bloody, not because it reveals what God is like (for only Jesus does that), but because it reveals what mankind is like. And therefore, what we are like. The Old Testament does not reveal God to us as much as it reveals mankind to us. The bloody passages of the Old Testament provide a better glimpse into the heart of man than they do the heart of God. This is how to read the violent portions of the Bible, so that when we turn away from them in revulsion, we are trained to turn away from similar violent tendencies in our own heart as well. Until we read the Bible this way, we will forever be confused about why there is so much blood and violence in the Old Testament. But once we read the Bible through this lens, we see that the Bible reveals man to us so that in Jesus Christ we receive both a perfect revelation of what God is like and a perfect revelation of what mankind is supposed to be like. Through His death on the cross, Jesus willingly submitted Himself to the violent death of ritualistic sacrifice as a way of exposing to humanity the sin to which humanity is enslaved. Jesus died, not to affirm and reinforce the idea that God wants blood sacrifice, but to unveil and expose the truth about sacrifice, the truth that it is we who want sacrifice; not God. It is we who shed blood; not God. By letting us kill Him in such a violent and bloody way, Jesus unveiled the truth about humanity and the truth about sin, and in so doing, called us to abandon these scapegoating, sacrificial rituals in our own lives. By letting us shed His blood, Jesus revealed that all such scapegoating sacrificial rituals have nothing whatsoever to do with God and originate instead within the hearts of mankind. Jesus fully exposed and unveiled the mystery of the scapegoat sacrifice by fully submitting Himself to it. We are not to make sacrificial scapegoat victims of others, while at the same time we are to willingly lay down our lives for others. The blood of Jesus reveals that true life does not come through the death of others, but through the death of self for the sake of others. While seeking life through the death of others leads only to more death, seeking life through the death of self leads to life for all. The blood of Jesus teaches that while humans seek death, God seeks life, and so when the life of God is in us, we will stop seeking the death of others. Thank you Jeremy. Having read a number of your books and blog posts I find that I have come to the conclusion that unless we view the bible through the lens of Christ we will never truly understand God the Father and how He behaves towards us all. If we believe in a violent God then we can easily rationalize away violence against others who we see as threats. The mists of time through the historical church have veiled this truth which you highlight so well. Other than self defense when we have no choice but protect the life of our family (and self/others) from violent attack, there is no reason for it. As you have said before, a loving relationship with God and others removes the reason for laws. Laws are there because we don’t love, to try to minimize violence but often fail. In my work I encounter many people who are very hard to love and at times violent and self centered, but after hearing their stories and journeying with them for a time, words I hear quietly in my heart often appear “there goes I too.. but for the grace of God”. Very well put, a lingering question is what to do about the passages where God/Jesus in the OT/Revelation are said to be the authors of violence. A projection? 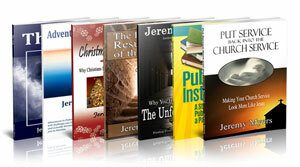 Hello Jeremy, I have read both your book, Atonement of God and Nothing but the Blood of Jesus. I don’t recall that you discussed the story of Moses lifting up the bronze serpent in the wilderness. I have puzzled over this story of the bronze serpent, as the image of the serpent was what people were asked to look to for healing and yet the serpent was the very creature that caused their suffering and death. I guess death by snake venom is a violent death. I ask the question because Jesus referred to this story to ” explain ” His crucifixion. How would you see this story fitting into the narrative of non violent redemption. 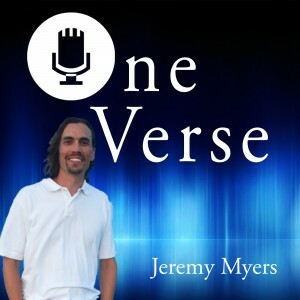 Jeremy Myers How do you deal with passages that state God commanded OT sacrifices and the killing of certain groups of Canaanites? Does the Bible inaccurately ascribe those commands to God? And if so, doesn’t that strike at the heart of biblical inerrancy? Thanks for your time!